The bite and wit of two of antiquity’s best satirists are captured here in a new Loeb Classical Library edition, a vivid and vigorous translation facing the Latin text. 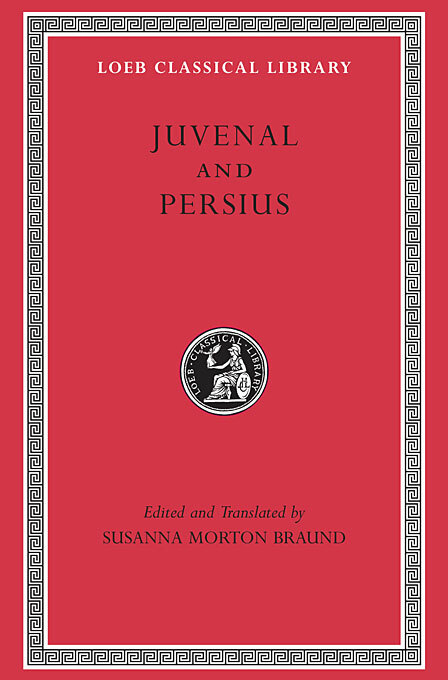 Persius (34–62 CE) and Juvenal (writing maybe 60 years later) were heirs to the style of Latin verse satire developed by Lucilius and Horace, a tradition mined in Susanna Braund’s introduction and notes. Her notes also give guidance to the literary and historical allusions that pepper Persius’s and Juvenal’s satirical poems—which were clearly aimed at a sophisticated urban audience. Both poets adopt the mask of an angry man, and sharp criticism of the society in which they live is combined with flashes of sardonic humor in their satires. Whether targeting common and uncommon vices, the foolishness of prayers, the abuse of power by emperors and the Roman elite, the folly and depravity of Roman wives, or decadence, materialism, and corruption, their tone is generally one of righteous indignation. 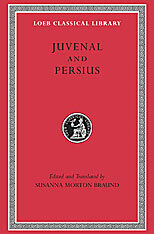 Juvenal and Persius are seminal as well as stellar figures in the history of satirical writing. Juvenal especially had a lasting influence on English writers of the Renaissance and succeeding centuries.